Lead statuses make keeping track of where in the sales process you are with leads a piece of cake. You can see a lead's current status with you in the lead's header, or in any of your lead sidebar lists. 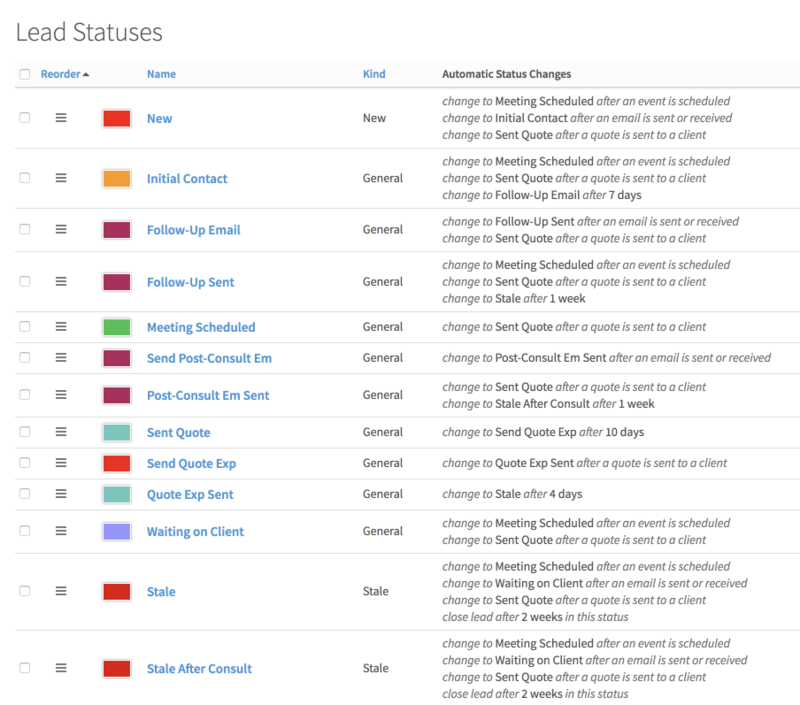 You can set up your custom lead statuses in Settings › Lead Status and configure the rules for each status to tell the system where you want it to send the lead when something in particular happens. 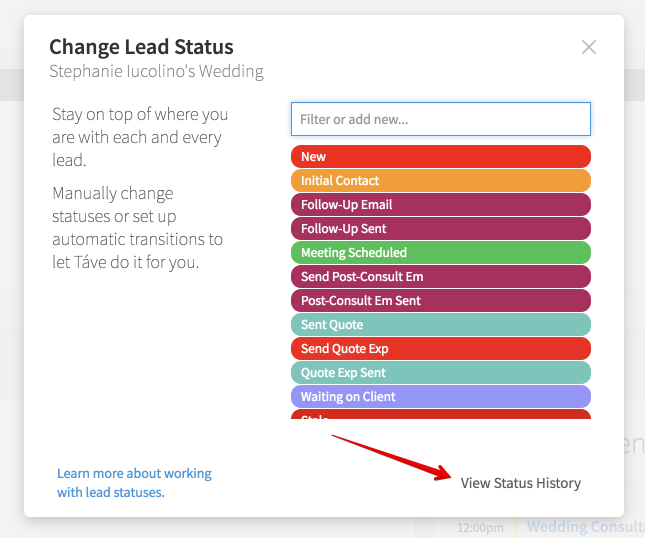 If you'd like to see the history of lead status changes on a lead, you'll select their current status in the lead's header and select View Status History.